Despite the wide-spread use of the cloud to manage secure, complex workloads, many organizations remain in dilemma to put their trust on the cloud’s ability to deliver desired security. Many of them perceive the capacity of a system to deliver security based on their ability to control and touch a physical device. Being able to touch and control get high importance when it comes to security; that is the reason why security professionals prefer physical devices that can provide them visibility starting from layer one, a physical layer, to layer seven which is application of any OSI Model. System administrators, with years of professional experience, are also finding it hard to fully embrace the cloud technology as completely secure and take responsibility for their working environment’s ultimate security. However, sound processes and properly trained staff form the foundation of a secure IT framework as they greatly help in overcoming numerous challenges in an IT environment. Majority of skilled IT professionals are well-aware of the advantage associated with their on-premise system versus the cloud. With respect to security concerns, the cloud system is easily scalable and offers easy deployment within an organization’s IT environment. In order to customize, security features associated with the cloud can be enabled and deployed for a specific security area also. 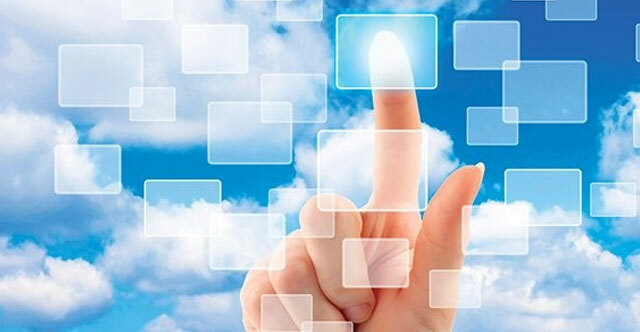 This feature can greatly help organizations demanding customized cloud deployment. Various cloud security providers also provide the native security features and organizations can take advantage of them by integrating as per their present requirements. Such native security features include security groups (built-in) for tags to organize, and access control. Moreover, they include group assets to create technology commensurate and security processes. Its Virtual Private Cloud, more commonly known as VPC, can be used as network segmentation; it also enables each VPC to be monitored and managed as per an organization’s data sensitivity. Exponential growth with respect to cloud innovations has created numerous security options which include file integrity management, anti-virus, encryption, vulnerability testing, management of identity and access, email encryption, DDOS, intrusion detection, virtual private network (VPN), anomaly detection, web application and network firewalls, along with collection, analysis and correlation of log. Moreover, IT organizations, be it of any scale, should realize the importance of processes and people within their environment that can take proper care of and focus on the feeding of such technology solutions. Both cloud security and on-premise IT infrastructure contain security threats; none of them are completely immune to threats. However, there is difference in terms of available technology options to tackle security threats with respect to on-premise IT infrastructure and the cloud. Organizations can easily source technology solutions from their respective cloud service provider and integrate them within their environment for timely threat management. Organizations are required to acknowledge the beginning and end point of their responsibilities as it will make way for the smooth integration of technology, people, and process; the integration in turn provides desired synergy to the security architecture of an organization. Various advantages associated with the cloud security are greatly enhancing the built-in security functionalities of numerous world-class cloud service providers. Organizations are required to commit to staff education and different training modules in order to achieve maximum cloud performance along with maintaining adequate organizational security. IT organizations can rely on their respective cloud security service provider for being their subject matter expert as well as trusted advisor. Dedicated service providers enable IT organizations to focus on their core business expertise and worry less about their infrastructure maintenance and cloud security. In other words, such service providers go beyond the value in efficiencies gained, cost, and time to provide peace of mind and trustworthiness.